I could eat asparagus just about everyday so it’s important that I find different ways to enjoy this healthy green vegetable. 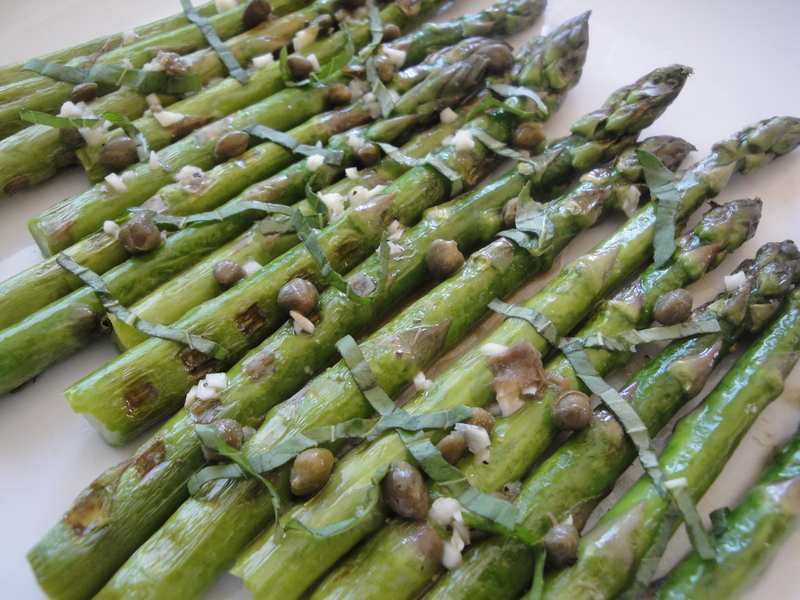 While I generally enjoy it simply steamed, I like to switch things up a bit and throw these spears a little curveball, like this Grilled Asparagus with Caper Vinaigrette. 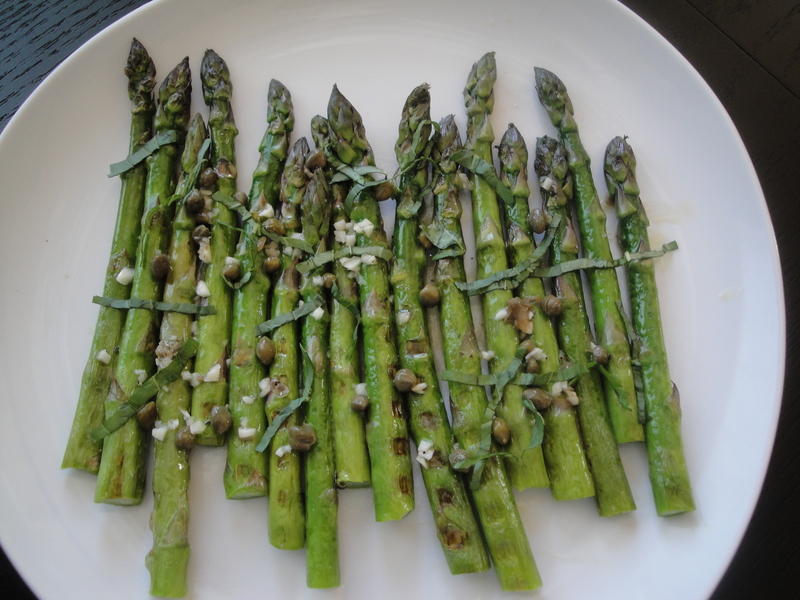 Fresh asparagus is grilled with olive oil and salt before being drizzled with a vinaigrette of red wine vinegar, olive oil, garlic, dijon mustard, and capers. The capers provide a subtle briney, salty punch while the viniagrette itself is garlicky and light. A sprinkling of fresh, sweet basil rounds out this Spring side dish which is good eaten warm or cold. I definitely plan on making this again! 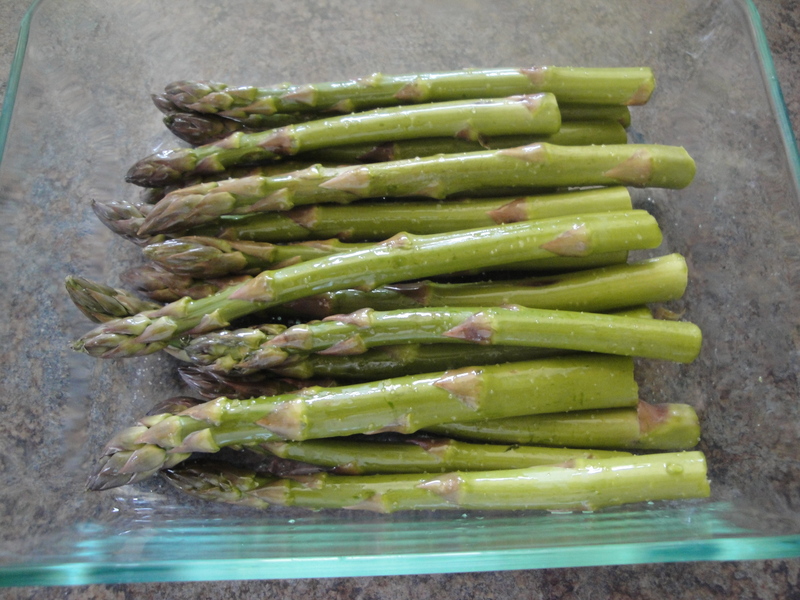 In a shallow dish, toss the asparagus (with ends snapped off) with 1 tablespoon of olive oil and 1/4 teaspoon salt. 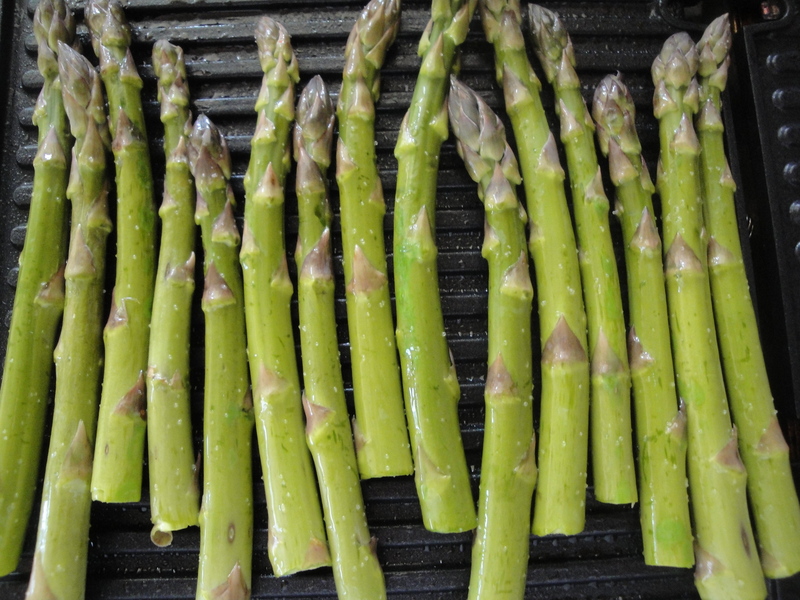 Place asparagus on grill rack coated with cooking spray and heated over medium-high heat. Grill for 4 minutes or until crisp-tender, turning after 2 minutes. 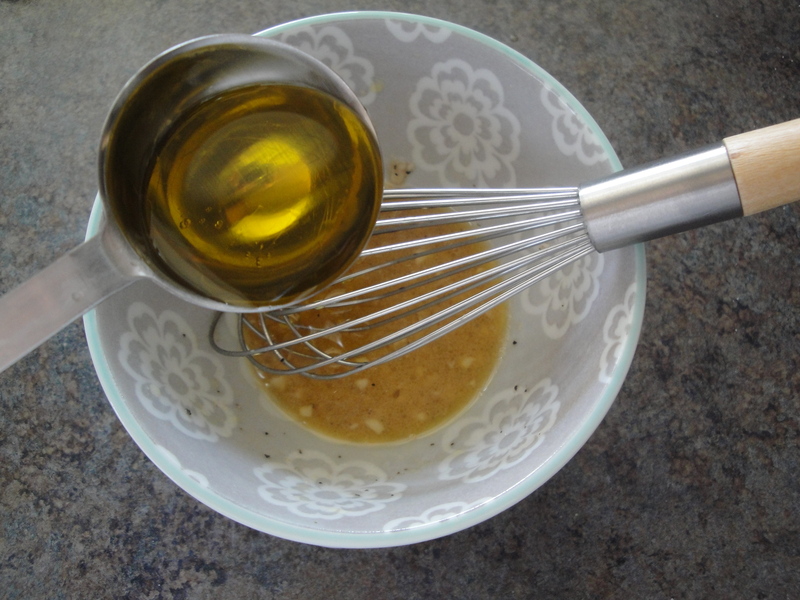 Combine remaining salt, red wine vinegar, dijon mustard, black pepper, and garlic in a small bowl and whisk together. Slowly pour remaining olive oil into vinegar mixture, stirring constantly with a whisk. Stir in capers. 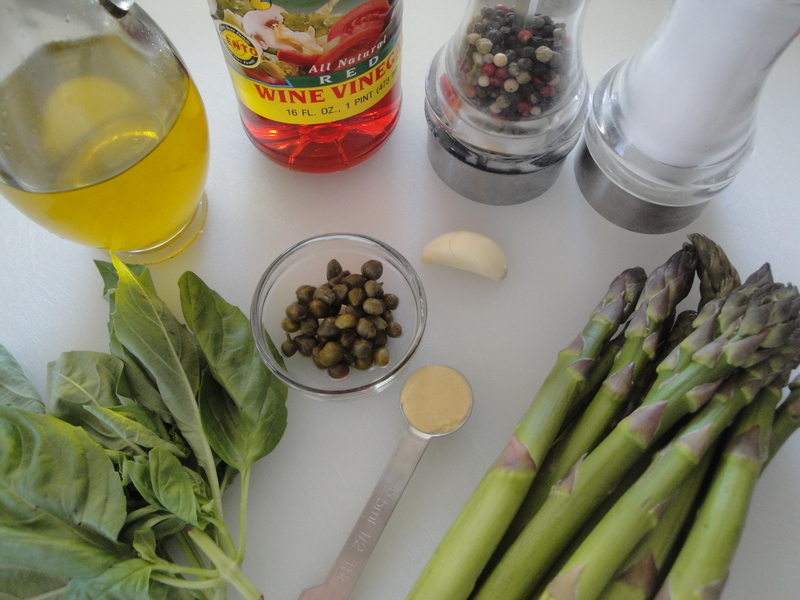 Arrange asparagus on a serving plate and drizzle with the vinaigrette. Sprinkle with ribbons of fresh basil.